Provide Himalyan Salt benefits for ALL of Your Clients! Salt is one of the Earth's oldest healing elements with recorded accounts of its use dating back to 1600BC Egypt. 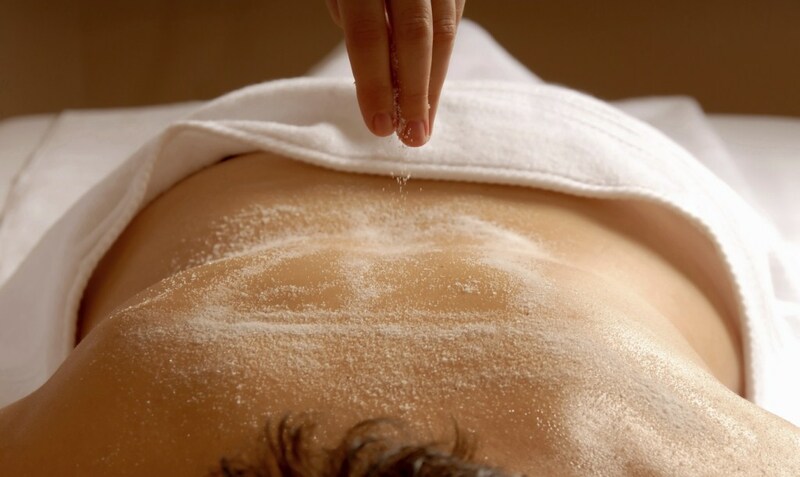 Salt's powerful healing properties are most effective when it is in contact with the body. 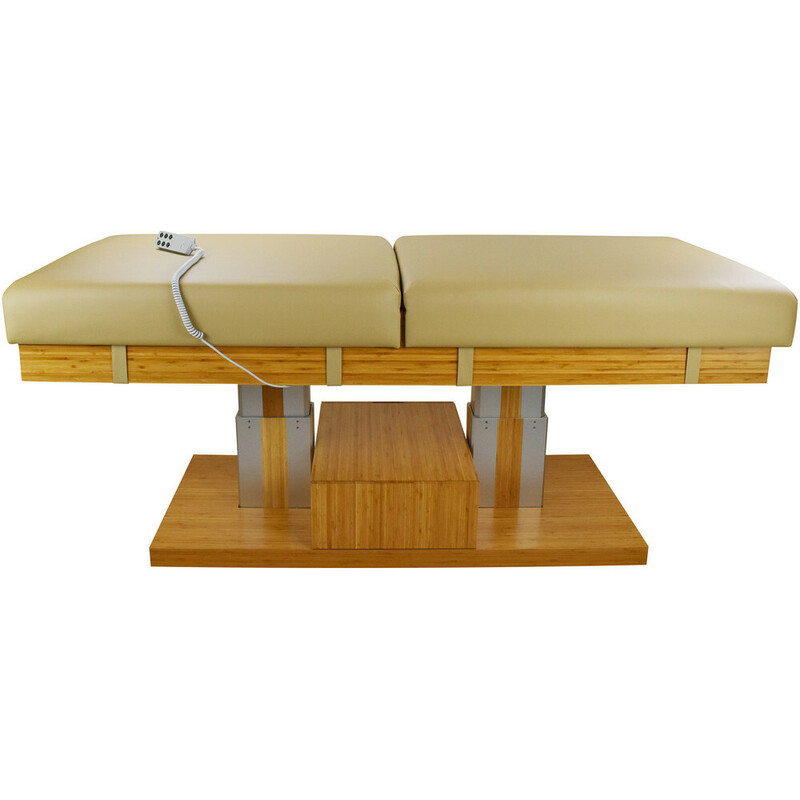 The beautiful Touch America Atlas Salt Treatment Table takes it up a notch by providing an easy-to-use and very comfortable method to deliver salt's healing properties. Their innovative Flex-Block™ Salt Bed provides the benefit of direct skin contact with perfectly-warmed salt, without any worry about sanitization. Unlike granular salt beds, the Atlas Salt has a solid surface that is easily sanitized before each treatment. They didn't stop there; below are a list of signature features. Convenient cleaning drawer allows you to sanitize the table between treatments. Professional-grade heater rests beneath the salt, providing 10 degrees of warmth above the room’s ambient temperature. No Space for a Salt Room? Your Clients Can Still Benefit from Himalayan Salt! Himalayan Salt has long been acclaimed for its unique healing properties. These sea salts are some of the best sources of a huge number of minerals that support life on Earth. One of the most popular benefits of Himalayan Salt is its detoxifying properties. Salt Lamps and Lights are popular because they draw water from the air into the salt, where the salt traps any toxins before the water is evaporated back into the air. 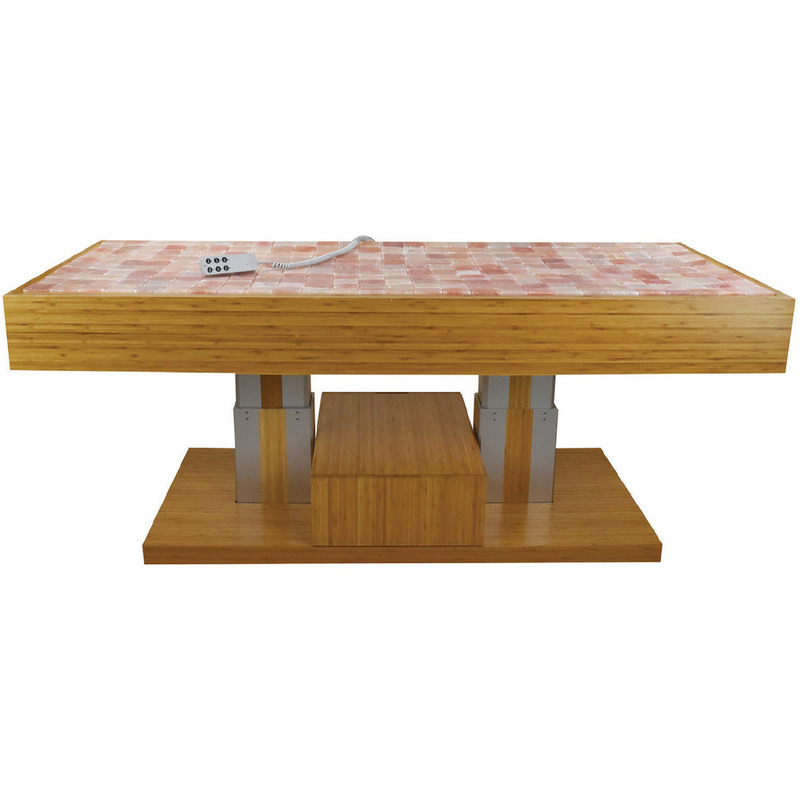 TouchAmerica's Himalayan Salt Frame makes it easy to add this healing feature to a spa, salon or wellness facility. This innovative system is ideal for adding to a sauna where dry heat activates the Himalayan salt blocks, transforming them into ionizers. 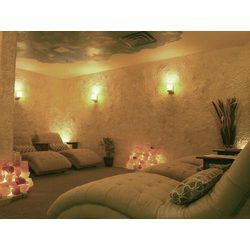 Wellness is enhanced with an abundance of ions that support the respiratory and immune systems. Himalayan Salt is beautiful, especially when lit. Our frames come with a LED rope light to backlight the salt and add beauty to its natural healing properties. 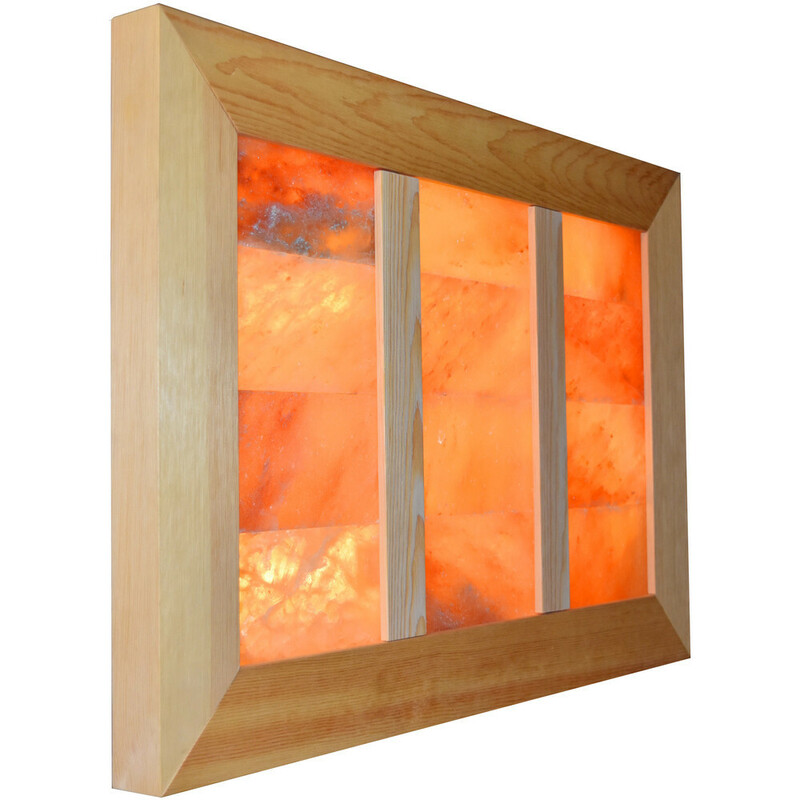 We designed our Himalayan Salt Frame system to be easy to install, requiring no special tools or skills. Not All Salts are Created Equal! Salt has gained such a bad rep over the past few decades. This is largely because of commercial table salt that we see everywhere which can cause heart and health problems when consumed excessively! The good news is there's a salt out there that is actually good for you and can help enhance your clients' skin and overall beauty. Himalayan Sea Salt has been gaining popularity over the last few years, and for good reason! This type of salt is packed with 84 different minerals and naturally contain iodine. Compared to table salt, which is stripped of iodine and vital minerals, Himalayan sea salt is used for detoxification, muscle relaxation, and even sinus issues! 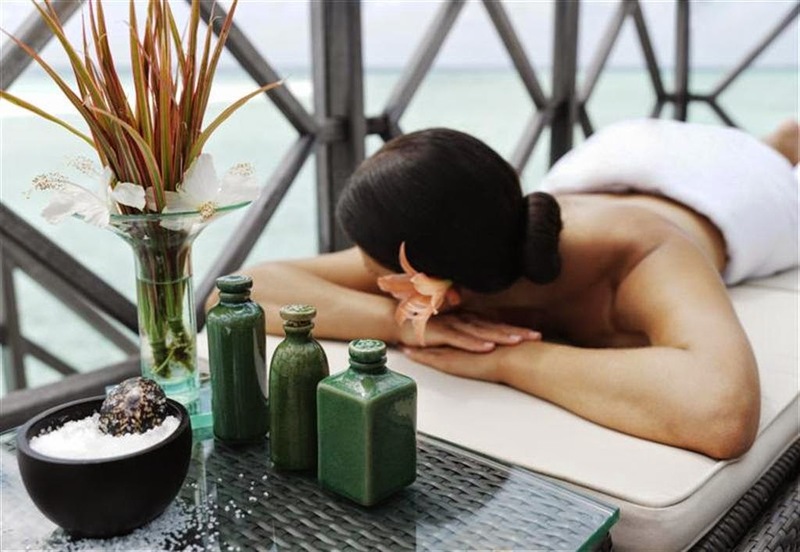 Does your spa have any products containing it? 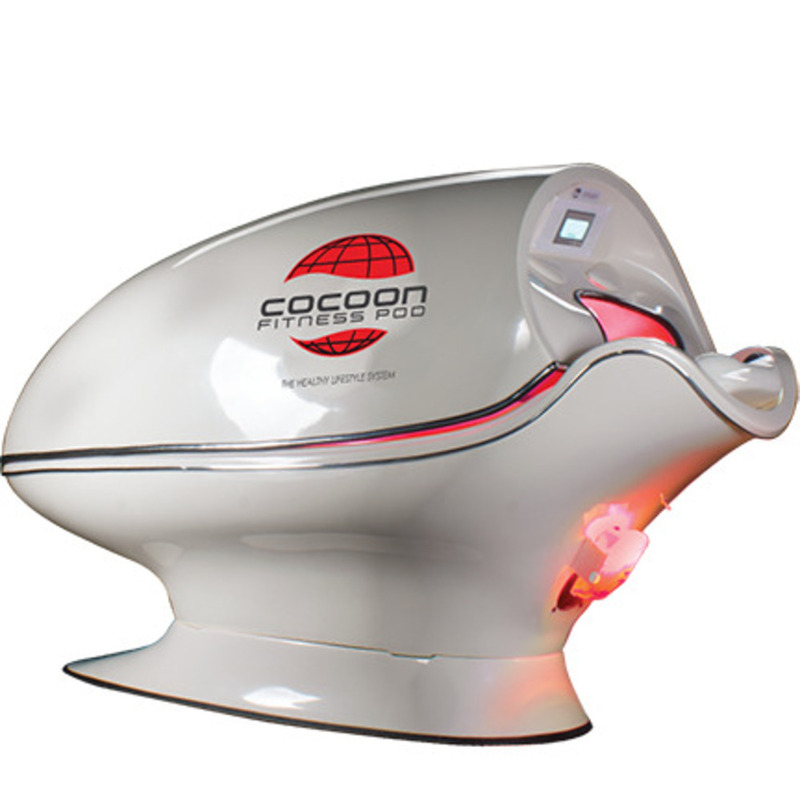 You might want to consider getting on this latest trend to help enhance your massage, pedicure, and even facial treatments! We have a variety of Himalayan Sea Salt products here at Pure Spa Direct. Check out my favorites below! 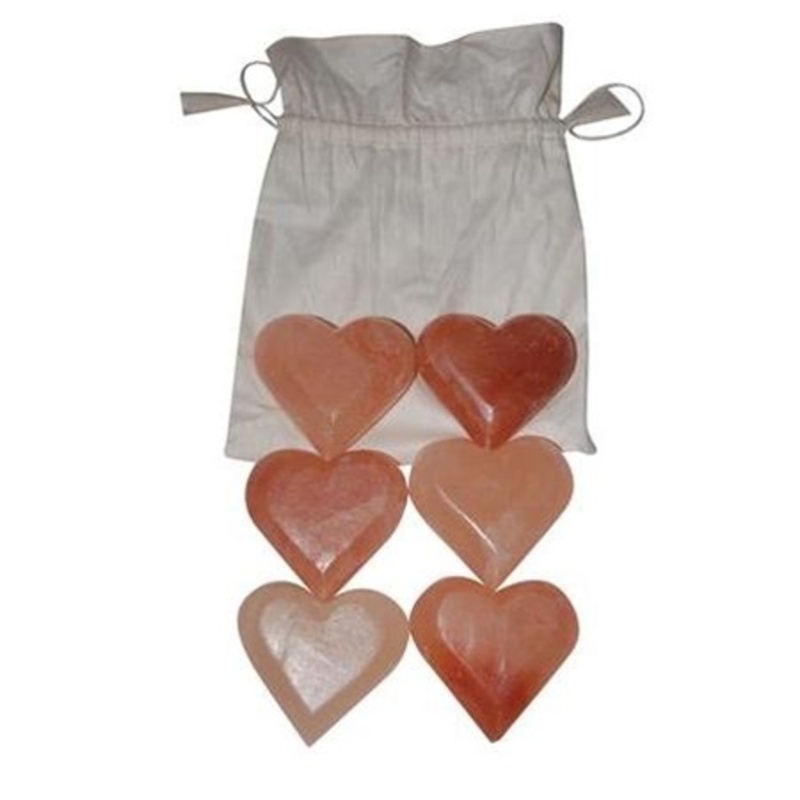 How adorable are these Himalayan Salt Massage Stones Hearts?! These massage stones are derived of salt crystals from an ancient primal sea beneath the Himalayan Mountains are hand-carved into massage stones that gently soothe away an accumulation of stress, tension and pollutants. Your clients will love them! Are you in need of more decor in your spa? 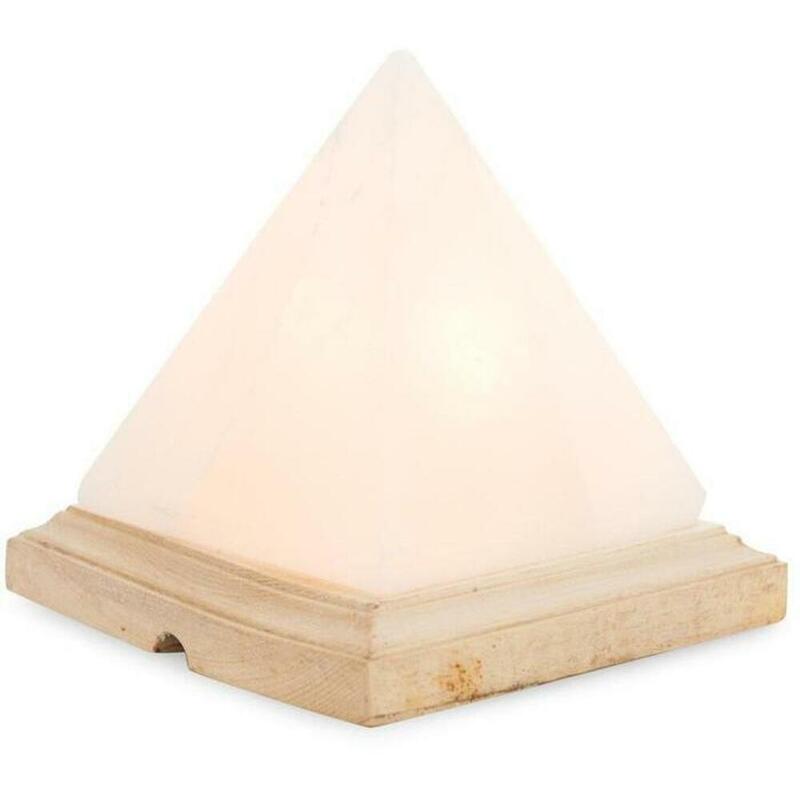 Our Himalayan Salt Pyramid Lamp is made with the white salt and has a beautiful natural wood base for an elegant touch. You might want to consider retailing these to your clients as well! Interested in adding a Himalayan Sea Salt Pedicure to your spa menu? Our Fine Himalayan Salt Scrub is great to use as a soak and exfoliation on your clients! 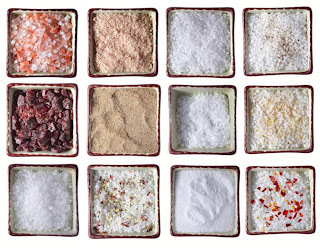 At Pure Spa Direct, we offer all types of bulk salts, whether they are from the Mediterranean Sea, the French Coast, the Dead Sea or the Himalayan Mountains. But its all just Sodium Chloride, right? The answer is a resounding NO - There are major differences that will have a definitive impact on your clients and the services your offer. This particular type of salt is solar evaporated on the shores of the Mediterranean, meaning that sea water is left out in the sun to evaporate under natural conditions. Once the water has evaporated, pure sea salt crystals are revealed. This is probably one of the more popular salts since it is cost-effective, available in a multitude of grain sizes and it also dissolves quickly. 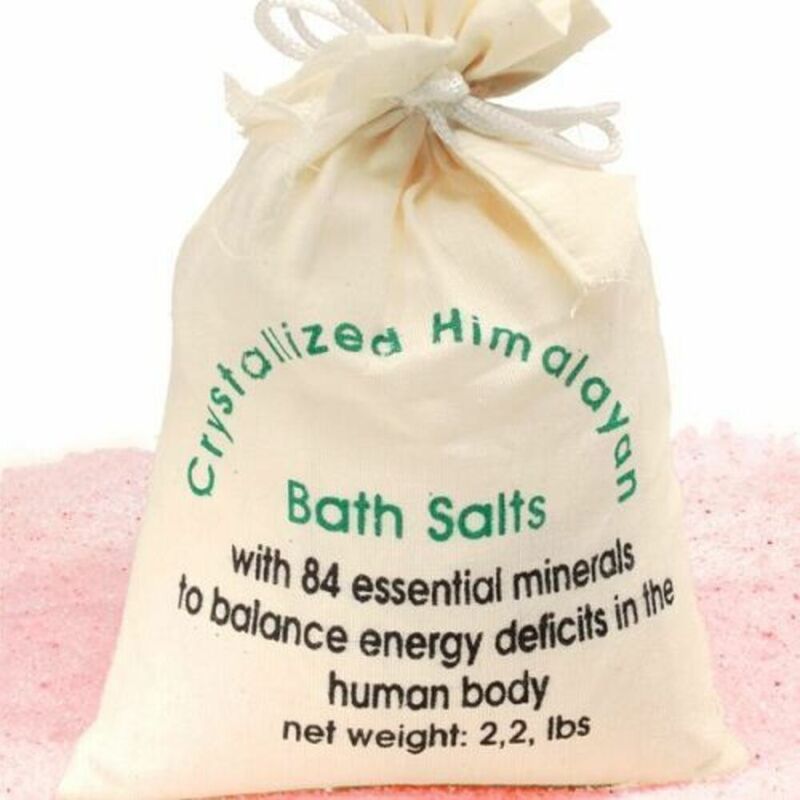 Containing such minerals as Iodine, Fluorine, Magnesium and Potassium, this salt can be used as a soak and a scrub. This Sea Salt is farmed from the Brittany Marshes off the coast of France using methods that have been in place for over 1000 years. Unrefined and full of trace minerals, this salt is actually lower in sodium and contains Calcium, Potassium, Copper, Zinc and Iron. While it can be used as a scrub, this salt is best used as a soak. Also, due to its excessively dry nature, it is able to absorb essential oils better than other salts. This is one of the best salts to use for aromatherapy. 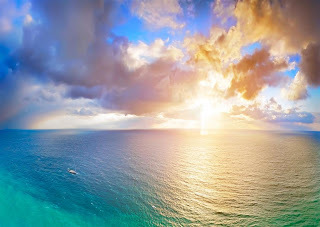 Unlike the previous 2 types of salt, this particular sodium chloride is obtained not from the ocean, but rather the famed Dead Sea, a 3 million year old salt water lake. Another key difference is the fact that Dead Sea Salt only contains 10% sodium, and the remaining 90% is comprised essential minerals including Zinc, Iodine, Potassium, Calcium and Bromides. The effectiveness of the Dead Sea is not only due to the salt content, but also the atmosphere of the region. 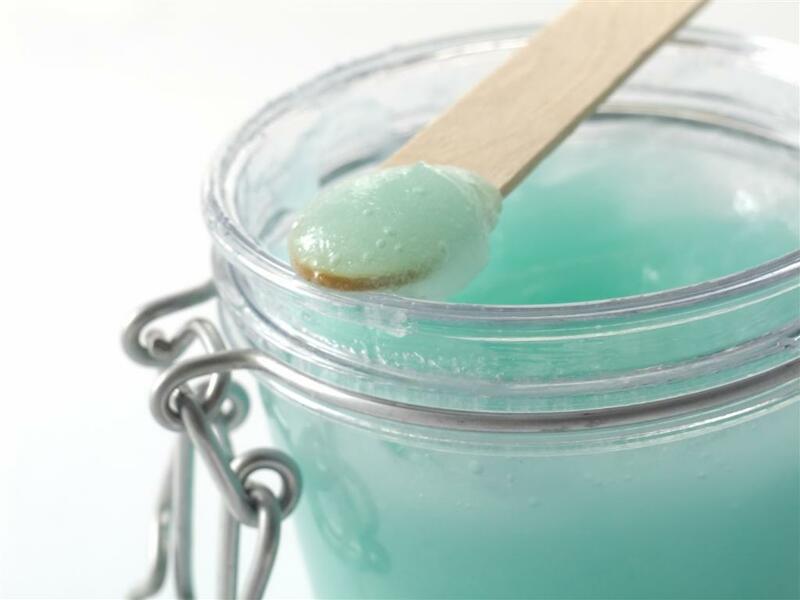 You can bring to Dead Sea to your spa, however, by creating custom soaks with the salt. Since it is so rich in minerals that the human body constantly needs to replenish, soaking treatments will provide the greatest benefits, but this salt can also be used as a scrub. Soaking in Dead Sea Salt has been shown to help treat such issues as cellulite, water retention, itching, acne, dermatitis, psoriasis, eczema, scabies, dandruff and hair loss. Mined from deep within the largest mountain range in the world, Himalayan Salts look more like coarse gemstones than chunks of salt. These completely pure salts were formed millions of years ago and have never been exposed to any types of pollutants or toxins. In addition to sodium, this salt also contains 84 trace minerals, including all 74 elements found in the human body. Himalayan Salt is best used for hydrotherapy treatments as submersion is the most efficient way to absorb the product. This salt has been shown to heal wounds and muscle injuries, repair skin texture and tone, combat cellulite and water retention, and even plump up the skin to fill out fine lines and wrinkles. 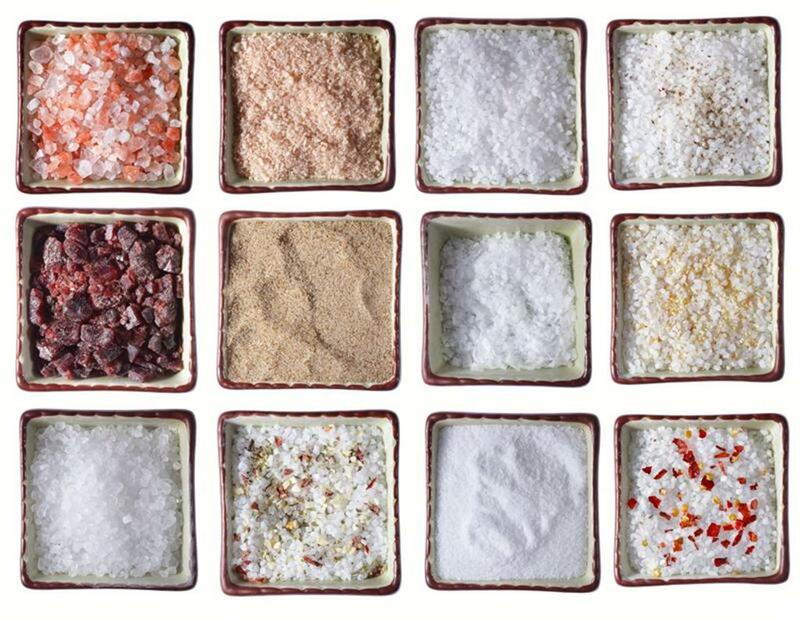 Click HERE and HERE to see just a few of the salt products we carry! ***Bonus Tip*** Apothecary Jars are an easy, effective and charming storage unit for your salt soaks and scrubs.